Mohamed A. Dobashi, is an experienced professional, businessman, educator and negotiator. Dr. Mohamed Dobashi is the Corporate Business Development and Review Executive at the Qatar Foundation working directly for the President of the Qatar Foundation. The position assists the president in achieving the overall goals and objectives of the Qatar Foundation. This includes working with the different entities of the Qatar Foundation to ensuring alignment on the strategic mission/vision and plan, efficiency, sustainability and identifying synergies throughout the Foundation. Prior to working at the Qatar Foundation, Dr. Mohamed Dobashi was the Chief Operations Officer of Amlak Holding (100% Qatar Foundation Subsidiary) and responsible for Finance, Administration, IT, Legal and Human Resources at the holding level. Previously, Dr. Mohamed Dobashi was Group Chief Operations Officer (COO) for Al-Faisal Holding Company. In his roll as COO, Dr. Dobashi was responsible for operations of the subsidiaries, business development and local investments. 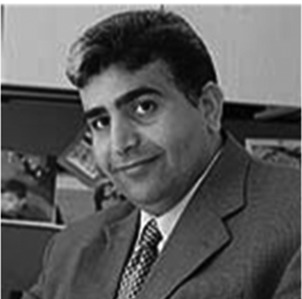 Dr. Dobashi was an Associate Professor for Carnegie Mellon University campus in the Gulf country of Qatar. Dr. Dobashi is an experienced professional with a wealth of experience not only in higher education but also international experience in the oil and gas sector, public sector and finance. Working for big five consulting firms, he has been on a number of startup projects through out the world including Europe, North America, the Middle East and the Arabian Gulf. Dr. has been heavily involved in the Carnegie Mellon Qatar Campus (Dr. Dobashi was previously the Associate Dean and Chief Operations Officer for Carnegie Mellon) and was part of the initial startup team responsible for the creation of the campus. In addition to teaching duties on the Qatar Campus he is also responsible for administrative and management aspects of the campus, which also includes dealing with local government authorities, building relations with local businessman and community leaders. Dr. Dobashi was instrumental in developing an Executive Entrepreneurship Program for which he was a director. Additionally, was responsible for new programs with contracts totaling over $500 Million in Qatar. This included the negotiation for the establishment of Carnegie Mellon Qatar, QCERT Qatar, Digital Library project and an additional Information Systems Major. Dr. Dobashi is bilingual (Arabic and English), has a great understanding of the culture and business practices in the Arab world. Dr. Dobashi earned Doctorate in Law from Northwestern University School of Law, Chicago, IL, an MBA from Thunderbird (American Graduate School of International Management), Glendale, AZ and a double BA in Economics and International business from Pacific Lutheran University, Tacoma, WA.